Oil Changes @ Auto Motion Chatham Used Cars ON. What they do: Your vehicle counts on new oil and oil filters to keep it operating efficiently. Oil should be kept full, clean from particles and not burnt. Oil lubes crucial engine parts. Moving components create rubbing, and over time that heat wears the parts down. Oil or a synthetic lubricating substance can minimize the damage from the rubbing by those moving components. 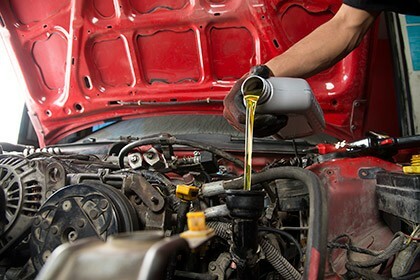 By performing a regular oil change schedule you will effectively increase your engine’s efficiency as well as maintain the life of your car’s engine. Why Is It So Important To Change Your Oil? Over time, dirt can cause corrosion and decrease the life of an engine. Routine oil and filter changes help remove particles and sludge and keep engines at peak condition. Improves gas mileage. Poor engine lubrication can lead to increased fuel consumption, so make sure there is enough clean oil in the engine.